Before my recent Oslo jaunt I poured over internet sites to find a hotel that didn´t cost the earth. A difficult task in Oslo, one of the most expensive cities in the world. It was a harder and more time consuming task than I´d imagined and cost more than I wanted to pay. Even though I fancied a hostel for meeting people, and the Anker have a hostel almost next door, I didn´t want to share a room and the cost difference really wasn´t so marked. My, not choice exactly, but fitting both categories ended up being the Anker Hotel, a large hotel not far from the centre with tram stops outside and about 6 minutes on foot. Due to my upside-down map reading it took me a while and a long and explorative walk to find and arriving in a cold drizzle, very welcome too. The spacious reception, with not a particularly welcoming feel but pleasant and quick service had me in my third-storey room looking out at the dark damp night sky at not even 4 o´clock. The Anker has 264 rooms all with bathrooms with welcome underfloor heating, I soon forgot the chill outside and had a nap after a sleepless night and 6am flight. The hotel bar as the reception lacked warmth but fulfilled its service. All the other customers were in couples or groups and the girl behind the bar far from chatty so I took two mega expensive bottles of unopened cider (the rule, no drinks to be taken to the rooms, but unopened bottles allowed) upstairs to open with the bottle-opener attached to the hotel information folder. Breakfast was an ample buffet in a sterile train-station-type-cafe but it did the job, was clean, the buffet constantly refreshed and tables quickly cleared. I was constantly amazed that the except for breakfast I didn´t see many other guests and didn´t share the lift with anyone. The free wifi reception was very good and I made excellent use of it on my comfy double-bed. 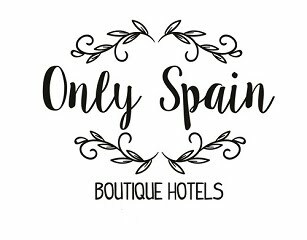 I had a pleasant, clean and perfectly adequate room but by far from the normal standard in Spain or the UK that I´d expect for the price - that´s Oslo for you. I wouldn´t refuse if I had to return, nor ask for the pleasure. 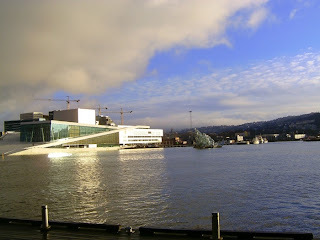 I won flights to Oslo via SkyScanner and SoloTraveler - read my report here. Solo Traveller an Unknown Trip to..